A part of Trump’s Iran policy review is the nuclear deal with Iran. This Saturday, July 15, marks the second anniversary of the Iran nuclear deal. Is there a different policy likely under President Trump? Yes: regime change from within, with pro-democracy Iranian oppositionists as core of a new policy. Last month, Secretary of State Tillerson hinted regime change was the intent of Trump, and both have made no secret of their dislike of the Islamic Republic. At a session of the House Foreign Affairs Committee, Tillerson said the president’s policy toward Iran would be to work toward support of those elements inside of Iran that would lead to a peaceful transition. Outside the administration, Trump’s national security supporters like Amb. John Bolton (ret. ), also have spoken favorably about regime change from within. There’s confusion over the nature of regime change. The CIA-UKintelligence operation to overthrow an Iranian government in 1953 differs from the idea of regime change from within, spearheaded by the National Council of Resistance of Iran (NCRI), a coalition of dissident groups. 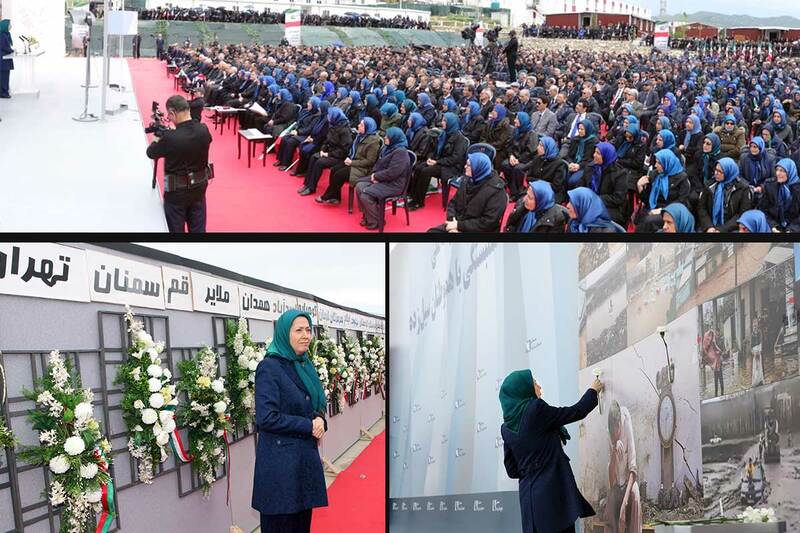 NCRI is best able to lead a broader coalition of opposition organizations that reject clerical rule in Iran and are willing to support regime change from within. Also, there’s a new “Sheriff in town,” President Trump. He is a deal-maker; for Trump, closing the deal with friends and adversaries alike is important to him. If Europeans are doubtful of the direction of his policies, it is fine with the Sheriff to keep them guessing. 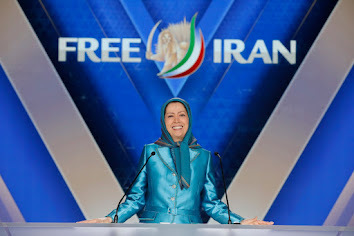 The Iranian resistance benefits from aligning with the United States because the resistance is in the camp of civilized states and never has committed acts of barbarism. Hence, Trump is more likely to reach out to pro-democracy Iranian oppositionists during his review of Iran policy than President Obama. He valued the nuclear deal with Tehran too much to jeopardize it by opening up to the resistance. But the NCRI does not need U.S. forces to change the regime, only American political and economic support to effect regime change from within. Even if not going so far as toppling the regime, Trump could increase his leverage against the Ayatollahs by supporting the resistance, conditioned on its continued eschewing of terrorist tactics. With respect to missiles, for example, critics hoped in vain the nuclear deal would place explicit limits on ballistic missiles. The burden, however, was left to the UN, rather than on parties to the deal. Paragraph 3 of Annex B of resolution 2231 (2015) calls upon Iran not to undertake any activity related to ballistic missiles capable of delivering nuclear weapons, including launches using ballistic missile technology. Because the nuclear deal did nothing to address the full range of Iran’s ballistic missile development, weak missile language in this resolution compounded the problem. Before the July 2015 nuclear deal, Iran was expressly prohibited by UN resolutions from launching ballistic missiles capable of carrying nuclear weapons. Security Council Resolution 1929 states the Council “decides that Iran shall not undertake any activity related to ballistic missiles capable of delivering nuclear weapons.” The term “decides” placed a firm legal obligation on all states to comply. For Tehran’s agreement with the nuclear deal, the Obama administration unwisely granted Iran flexibility for ballistic missile testing. Security Council Resolution 2231 certified the nuclear deal, replacing the prohibition with weaker language: “Iran is called upon not to undertake any activity related to ballistic missiles designed to be capable of delivering nuclear weapons.” Holes in the missile technology side of the nuclear deal equation would be sealed; on the sanctions side, there should be prohibition of relief in the event of Iran’s continued participation in state-sponsored terrorism and human rights violations. If not postponed, the policy review for Iran and anniversary of the Iran nuclear deal coincide this coming Saturday. European diplomats say a drawn-out period of the review period could crimp the effectiveness of the nuclear deal. But President Trump, the consummate deal-maker, welcomes their discomfort and takes advantage of their wariness over his next steps. Prof. Raymond Tanter (@AmericanCHR) served as a senior member on the Middle East Desk of the National Security Council staff in the Reagan-Bush administration, Personal Representative of the Secretary of Defense to international security and arms control talks in Europe, and is now Professor Emeritus at the University of Michigan. Tanter is on the comprehensive list of conservative writers and columnists who appear in The Wall Street Journal, Townhall.com, National Review, The Weekly Standard, Human Events, The American Spectator, and now in Newsmax. To read more of his reports — Click Here Now. Originally published at www.newsmax.com on July 14, 2017.